Juliette has been dominating the property scene in the City of Whitehorse and Manningham for a decade where she has built a wealth of local knowledge and impressive client base both local and international. 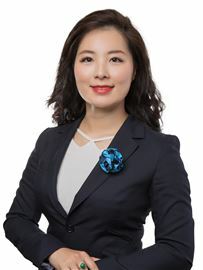 Multilingual in English, Mandarin, Shanghainese and Cantonese and possessing a broad knowledge of Western and Asian cultures, her innovative approach to selling homes, overriding commitment to service, shrewd negotiations and specialist touch with international buyers has seen her recognised to be one of the most respectable and elite agents in the Victorian real estate industry. As director of the Harcourts Box Hill, Juliette has brought an exceptional level of commitment and professionalism to the team approach. Juliette is an advocate of honesty and transparency, and has established a reputation for trust, expertise and exceeding her clients’ expectations. Knowing her willingness to work untiringly to achieve the best possible result, many have made Juliette their agent of choice time and time again. Sincere, reliable, efficient and hardworking would be the best words to describe Thai Tan. Raised in Marvellous Multicultural Melbourne, Thai is well adapted to mix with a diverse spectrum of people from different backgrounds. This is assisted by his proficiency in English and Chinese. 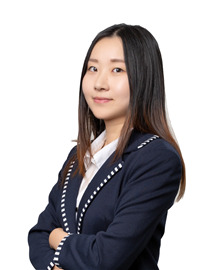 Having come from a successful career in Event Management and now with over a decade of experience in the real estate industry, Thai prides himself on achieving an exceptional level of customer service. His genuine desire to assist people and passion for real estate is reflected in the fact that he will go the extra mile. 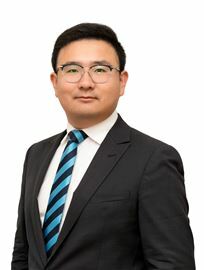 Thai’s experience in residential sales as well as project marketing has carved him an important place within this industry. His wealth of knowledge and client base has earned him to be one of the most successful agent in the area. “People come and go in this industry, but if you’ve been around for a while you build up a bit of credibility - a huge part of my business now comes from referrals and repeat business, and I take that trust very seriously.” A positive, energetic and experienced agent, Bob has been achieving exceptional results for his clients between his sharp negotiating skills and mastery at fuelling competitive auctions, closing tough sales and securing record-breaking prices, it’s easy to see why. As a Sales Manager, Bob feels compelled to pour his successful experience on your sales campaign after all the agents skill set and work ethic will have the complete bearing on your final sales price. This ultimately provides total quality control for the sale of your home, as the owner is directly involved in your sale. In this instance Bob represents the elite sales people in the industry to ensure quality control in the process. His extraordinary skills – stemming too from a competitive nature that loves seeing buyers battle it out and send prices upwards – have also led to a large collection of prestigious, personal industry awards. However, Bob remains very down-to-earth. He mentors his sales team with a genuine desire to see them prosper and succeed. Unparalleled reliability, and attentive approach to customer care ensure clients are very well looked after. Bob understands and respects people’s individual needs and is instrumental in ensuring they’re met. His fun, casual and transparent approach also instantly puts people at ease. His secret to success is simple: outstanding property presentation combined with an effective pricing strategy, honesty and integrity, attention to detail, 6 star customer service and putting his clients best interest first. He thinks outside the square and brings both a wealth of experience and a love of people to all his dealings. Call Bob for a positive stress-free real estate experience. 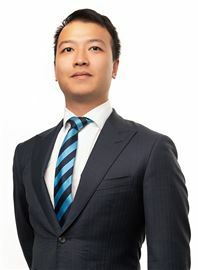 Dennis Shi, made a flying start into the real estate industry in 2010, selling his first Box Hill property for in excess of $9 million. 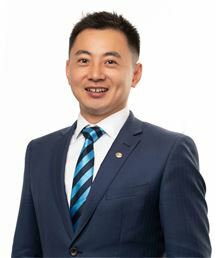 Ever since, his impeccable reputation as an expert negotiator who works harder and smarter in pursuit of record-breaking results, has cemented his place as the number one agent of choice in the City of Whitehorse. Dennis is a fully licensed agent who has gained the respect of clients and colleagues in his rapid rise. In his quest for the ultimate result, Dennis listens to his client's needs and draws upon the considerable management and business expertise he acquired during his years as a retail shop owner. 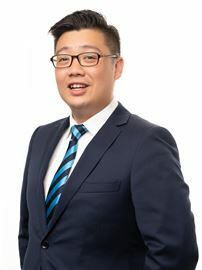 Dennis was born in China, is fluent in English, Mandarin and Cantonese and has been happily settled for many years in Melbourne's eastern suburbs community. 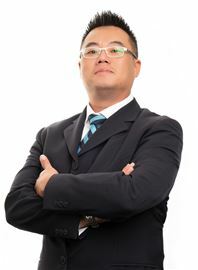 His intimate knowledge of the City of Whitehorse and Asian market gives his clients a distinct advantage. Dennis possesses a contagious enthusiasm, matched by his standing as a reliable person who loves interacting with different people. Dennis has share his fresh energy and passion for delivering outstanding results and client service. Supported by Harcourts experience, vast network, cutting-edge technology, analytics and marketing, Dennis and his team are your Whitehorse experts. Away from work, Dennis relaxes by exercising at the gym and fixing cars. 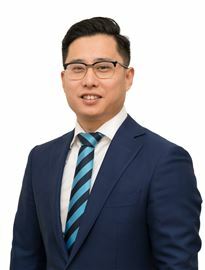 A responsible and dedicated professional, Alex brings over ten years’ experience to his role as Manager - Property Management Department at Harcourts Box Hill TSL. Honest, focused and with unwavering enthusiasm, he works hard to achieve success and exceed customer expectation. Alex's goal is to provide an outstanding level of service and continue to grow his client base. He never underestimates the privilege and trust that landlords bestow upon him in managing potentially their biggest investment. 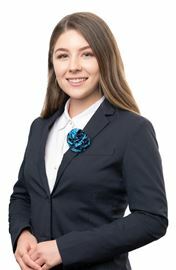 Alex is a highly skilled agent with savvy business sense and a thorough knowledge of the current rental markets and legislations in Victoria. Backed up by the strength of the brand, the power and support of the network and the industry leading technology, marketing and resources available, Alex is determined to carry the Harcourts Box Hill TSL as an elite property management services company. Determined to fulfil his career aspirations, Alex is on track to becoming a fully licensed agent. When he is not improving on his expertise and helping to ease the associated pressures of renting, he enjoys spending time with his wife and their young daughter, and as well as golf, tennis and cooking.